When I moved to LA from Boston, I was so shocked at how many people live and breathe waiting for the week of April 12th. If you aren’t familiar with Coachella, it’s a massive music festival filled with tons of insane events that are disgustingly hard to gain entrance into unless you’re very connected, and performers that I don’t entirely know people actually listen to when they’re performing since everyone is so caught up in the hype of being in the desert. The lineup is usually pretty dope, which attracts people who like alternative, to rap, to EDM to every other form of music available. It’s held in Palm Springs, which is a few hours from LA and quite a nice drive. I love music festivals and I’m connected to many different people in the industry, so when my friend asked me to go to Coachella last year I was down to see what the festival was all about. I got Mazda to give us a free car, and we headed out to the desert. I love music and I love music festivals. I love Governor’s Ball which is in NYC every year, ULTRA, any party with music in Ibiza, and Boston Calling. But none of these festivals live up to the Instagram culture like Coachella. It’s one of those events that you feel slightly unworthy and useless if you don’t have the connections to get you there so you can’t go. I totally get that, and that’s why I wanted to go last year and see whether it was worth the hours in traffic and the freezing cold April nights in Palm Springs. Plot twist: it was not! Here’s the thing: we all suffer with FOMO. I don’t care who you are or what you’re doing right now, you’re probably wishing you were somewhere else doing something that someone on Instagram is doing. I do too! I’d rather be back in Miami right now than deciding what bed frame to get for my new apartment at my WeWork. It’s human nature to feel jealous of certain opportunities and people, even though it’s not the healthiest feeling to have! What I realized about Coachella is that without the power of social media, this festival wouldn’t be what it is today. Let me tell you something that most people won’t admit: the parties are so crowded, no one wants to talk to each other, everyone is using pretty hard substances and is slightly out of their mind (or at least the people I saw at the parties I went to last year) and the festival itself is so crowded and annoying to enter into that people end up skipping the festival and spending their time navigating their way to events in the middle of nowhere in Palm Springs. When I thought about going this year, I realized there’s nothing I’d rather be doing less than Coachella. This is just my personal opinion, but being fearless and getting out of your comfort zone means you have to say no sometimes and stand your ground even if it’s easier said than done. I’d rather go to dinner and spend the day at the beach tomorrow (like I’m doing for my friend Ashley’s birthday!) than party away in Palm Springs to take cool Instagram pictures. It’s really not that easy to get cool pictures because all the cool pictures everyone wants to take so their ends up being lines at every hotel and mural in Palm Springs which makes you dehydrated and irritated by the time you get to the front of the line to snap your picture. Not.worth.it. Moral of the story: do what makes YOU feel good, not what Instagram makes you feel. If there’s one thing I learned when I moved to LA, it’s that just because someone looks happy on Instagram in no way means they are in real life. Wouldn’t you rather be happy at home alone watching Netflix than trying to put on a certain image at a certain event? 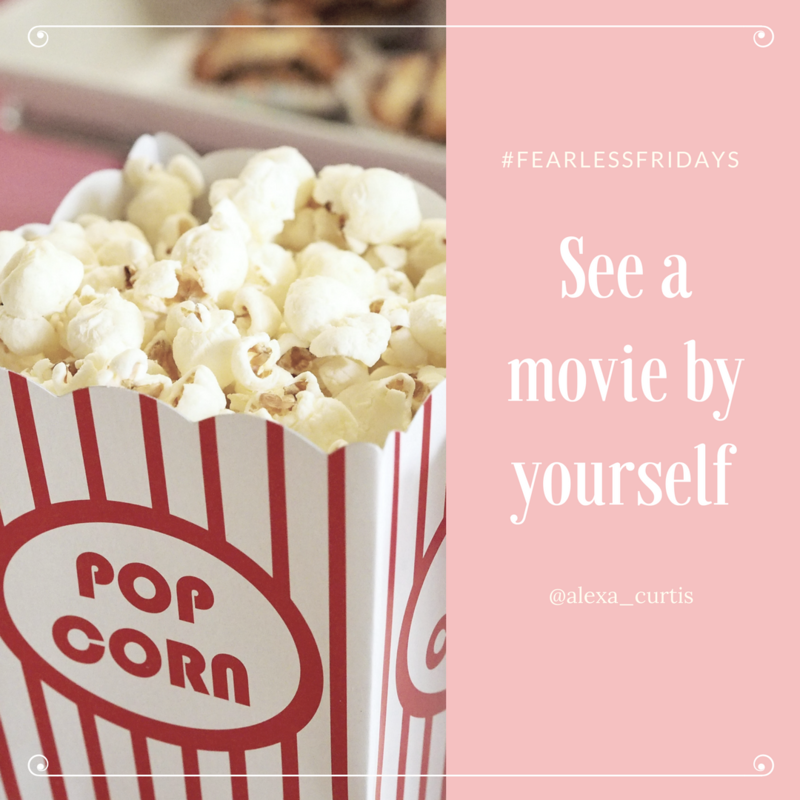 Share what makes you feel fearless with me on social media with the hashtag #FearlessEveryday!